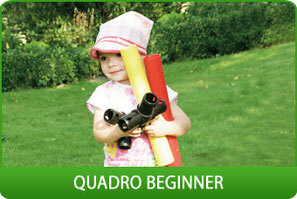 Discover the world of QUADRO! 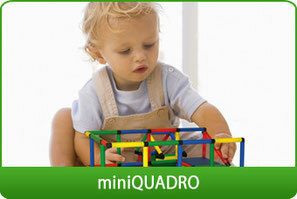 Check out some videos with QUADRO! 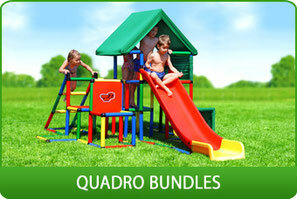 Be inspired by the fascinating world of QUADRO products full of fun, creative ideas and infinite possibilities! 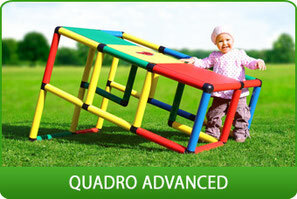 QUADRO is easy to set up and rebuilt. Whether a climbing castle, a private castle or an adventure playground with pool and slide - with QUADRO anything is possible! 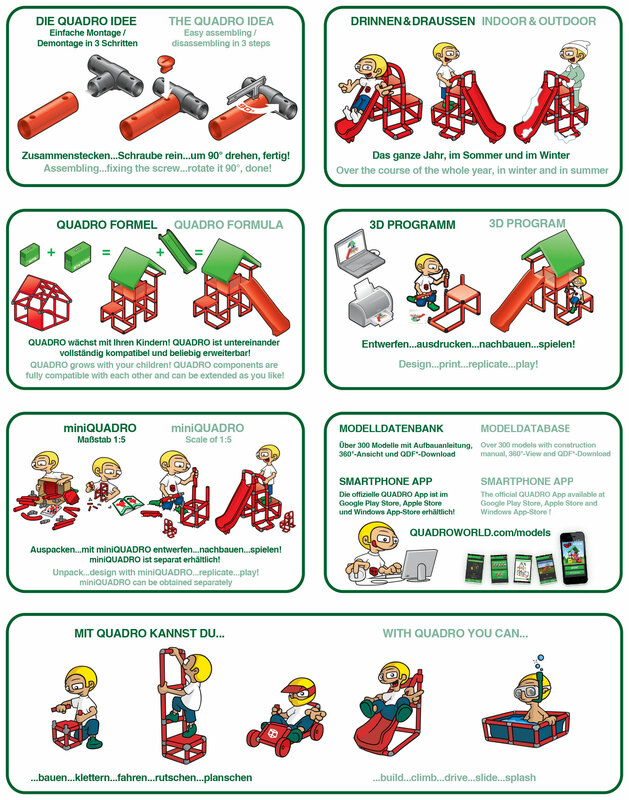 The jungle gym grows along with the skills of the child and retrofitted at any time. 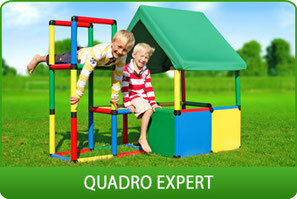 QUADRO offers for all just right. 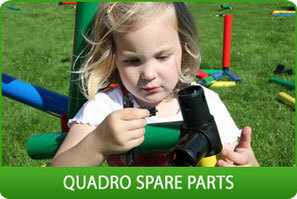 From the MY FIRST QUADRO for the very young up to the UNIVERSAL for experienced builders. Our five Giant Construction Kits can be combined with additional kits and rebuild at will. 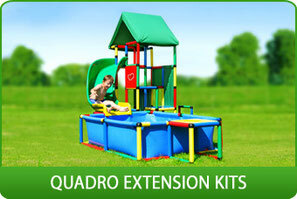 Extend your QUADRO with the help of our three different slides, three pools, Ballcage, textiles, wheels and many more! All slides are offering the possibilty to connect a garden hose and can be combined with our two large pools. The pools themselves are very versatile. They can be filled with water, sand or balls and offer by using the supplied aluminium profiles an enormous stability. QUADRO is for indoor and outdoor use, both in summer and in winter! With the help of our supplied 3D program your own model wishes can easily implemented on your PC and printed. miniQUADRO in the scale of 1:5 helps to plan ahead large QUADRO constructions in small scale. 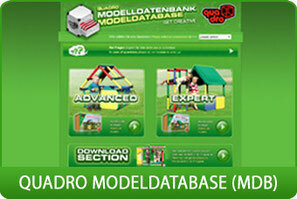 Please visit our Model Database (Mdb) at www.quadroworld.com/getcreative. There you will find more suggestions to our models. Become also a fan on Facebook and always stay informed! 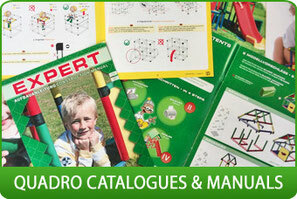 Some more facts about QUADRO since 1979!